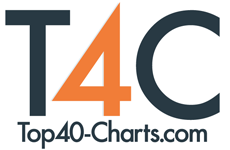 New York, NY (Top40 Charts) Ciara is back with another anthem. The singer recently dropped her new single "Dose" on Friday (Sept. 14), and it definitely will have you on your feet. Produced by Rodney "Darkchild" Jerkins, who previously worked with Ciara on tracks like "Pucker Up" and "Read My Lips," the marching band bop pairs a drumline beat with inspirational lyrics. "When you fall, just get back up again," sings CiCi, who calls the track "one of my favorite songs I've done." "Dose" follows "Level Up," which spawned a viral dance challenge, and "Freak Me," an Afrobeat collaboration with Nigerian star Tekno Miles. Ciara is now readying her seventh album, the follow-up to 2015's Jackie, which will feature more dance-ready jams. She will also join Bruno Mars on select dates of his "24K Magic World Tour" this fall.